amount of work and requires a strong countenance, dedication to excellence, and a purpose-driven spirit; all of which are obvious attributes of Al Bowman. singers and songwriters. The competition is fierce and the volatility to one’s soul can be extremely destructive. For decades hopeful stars from around the world flood the streets of Hollywood dying to become a star; desperate to get that one amazing chance to show their talent to the world. Little do they know, Hollywood’s golden streets are lined with mine fields just waiting to explode and destroy an artist’s innocent dreams. More than any other time in entertainment history, publicity and promotion are paramount in producing a successful career. Thousands flood into L.A. every year trying to become a star but quickly leave broken and crushed, starving, tired and lost forever. 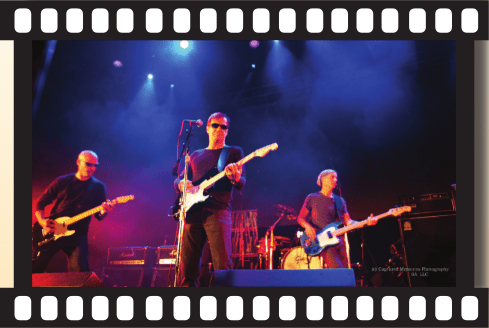 If they only knew Al Bowman could have given them the platform to launch their dreams, they might not have left and alternatively, could have walked onto the great stage of The Avalon Theater encouraged and excited, instead of feel-ing defeated and unappreciated. Quite frankly, in L.A. you are only as good as your last performance. Singers, songwriters, producers or recording artists, all enter a ruthless and unforgiving arena populated with sophisticates lying in wait to devour the unsuspecting talent: They have no experience to avoid the devastation. The only preparation one has as one leaves for L.A. is have an expectation of the “experience” one gains once they get there. Just trying to make a living from your God-given talent is not enough. This is where Al Bowman enters the arena of hope, as he creates a forum for artists from around the world to showcase their talent in a big and dramatic way. When you have the music living inside of you, it is virtually impossible to turn your back and walk away from yourself! Your gift is WHY you live- why you dream- why you persevere beyond the imagination of most people in the “real world.” Most rational people would say: “WHY do you put yourself through this- why?” Well, the answer is simple and relies on the person possessing the gift NOT to be able to say no! That burning desire always exists and propels the aspiring artist into the mouth of the lion that rarely spares its prey. My heart aches for the artists who do not know of this extraordinary opportunity to be nominated as an independent artist, presented by Al Bowman on stage, and exposed to major media all in one dramatic evening of entertainment. Al Bowman has changed the face of Indie promotion forever: Without The L.A. Music Awards, how on earth could these artists find a main-line forum to showcase their talent to the world and gain the publicity needed to live their career of dreams? I was fortunate to get a back-stage view into Al’s life as he produced The L.A. Music Awards in 2012. From the sound checks to the lighting, from the Red Carpet to the media, THIS was the opportunity of a lifetime for an aspiring artist. After getting to know the man behind the music, I was stunned how Al produced a huge award show that that had sustained success for over 23years! To say the least, this is no small feat in L.A. No matter if the industry agrees or not, this award show stands on its own merits and every year presents new artists with a vehicle to promote a life-sustaining career. 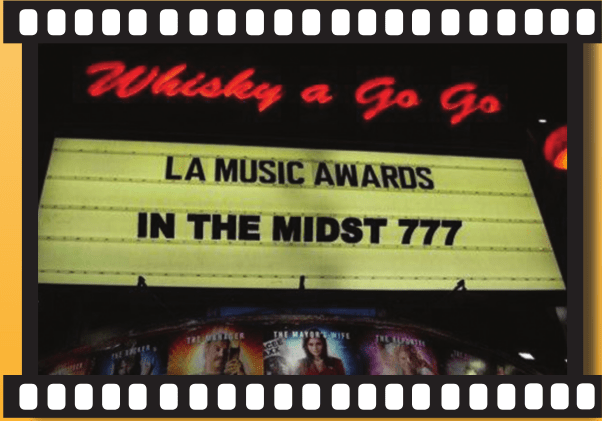 Once an artist is nominated, a three-tiered voting process begins consisting of on-line voting, live ballot voting (by an audience at The Whisky A Go-Go in West Hollywood) and a panel of judges that brings all aspects of the voting process together, culminating with specific award recipients in multiple categories. If an artist is lucky enough to receive the coveted award, the power of that award is now placed in their hands- the rest is up to fate and the public’s reception of their product. I asked Al to describe the process that an artist goes through from start to finish with The L.A. Music Awards. I asked him what the most important aspect of making it in the industry was; he immediately and enthusiastically replied: “PUBLICITY AND PROMOTION!” Al Bowman: “I’m so glad you are doing this article- that somebody really cares. Last year was one of the best productions we’ve ever presented…which is some-times the kiss of death in L.A. We had 40 ft. of Red Carpet at The Avalon Theater, all the media, photographers, a fantastic show, drinks and dinner- it was fantastic. The people within the confines of L.A. were upset THEY were not represented on the stage and kept asking me: “Why not?” I kept saying because you did not participate in our process of on-going events. My goodness. I have no proprietary interest in the act itself- I am not a record company, or a music production company or distribution company. That is the part that people are disconnected from when it comes to what I do – we are in the event production world. I do not sell music- I put on an event to international city and artists come from all over the world to make it here. I came out of the 2012 production so encouraged and optimistic- it was my best production ever! But I kept getting trashed from last year’s ceremony because L.A. bands felt so left out- they could have participated, but did not! We are not a “taker” organization. I have been a giver my whole life. The L.A. Music Awards were not inspired by money or capitalism: It was created pertinent to the wishes of a dying old man- Bill Gazzarri, The God Father of rock and roll. He passed away at age 66 in 1991. That poor man died of a broken heart, because the movie about The Doors (made by Oliver Stone) left Bill completely out of The Door’s history- it broke his heart- he never got his due- he felt betrayed. I mean, come ON! Gazzarri’s on the strip was open for 32 years and presented over 10,000 bands, many of whom became famous because of him! Hollywood can be a heartless town. The “Pay to Play” system was born back in the late 70’s. People try and put that process down but I always say: Where is your audience?! You need an audience to HAVE a career! I’m sorry to tell you this, but this industry is an audience driven business. If you don’t have anyone coming to see you, you have nothing. You could have all the talent in the world but if you have no fans or people coming to see you, you have no value to this industry. This is the entertainment business: I get amazingly talented people every year and WE help build their audience. We give them the publicity and try to BE the vehicle that builds their fan base. We give them the media publicity through the audience that WE built- FOR them. Look at your cover-girl Tehrah from last year. She won Artist of The year in The Christian Contemporary category. She has great talent…awesome voice, and is an amazing song- writer. You guys get an award this year…what you both did with that magical slide show with Tehrah’s music behind it? God! It made me cry- I watched it at least 50 times. There is something special about Tehrah’s music that makes me connect on an emotional level that no artist has ever done with me before- ever! First the slideshow then the short film- really high end- extremely well put together- it’s totally award winning stuff. Come and pick up a plaque from us this year…I will open the show with those pieces- both of them. My God; look what you did with the marketing tools you created. THAT is what this is all about! You two DID something with the tools you were given. Just because we produce this award show does not mean we are in the record business. We don’t get people record deals. We are not lawyers, we are not agents. We are just two people- me and Susanna Griffie, that produce this huge award show each year. It is a labor of love but the constant stress trashed our personal life- it ruined our personal relationship- it just tore us apart. But this is a labor of love for both of us: That’s the sacrifice you make in show business. Sometimes we find that one artist like Tehrah out there- that star act. We try and bring their talent to the forefront of the national media and mix them in with our celebrity recipients. We take a hybrid of what has achieved greatness and put them together with the people who are capable of achieving greatness. That is what our mission has always been about. We have been duplicated by competitors… and cheap ones at that. An award show is the most difficult and most challenging production there is. Just ask Don Mischner who produces the Oscars each year- he’ll tell you! Just think: You have fragile egos, personal feelings and agendas, a live show, musical numbers, sound checks, videos- it’s crazy! An Oscar can launch careers and ruin careers. It’s a crazy business! There is no guarantee after an Oscar you’ll even HAVE a career. You get that moment where everybody loves you, then they get to hate you- some artists never work again after receiving an Oscar- once again, it can be the kiss of death! I am so dedicated to this I don’t think I could stop even if I wanted to. I feel I have a relationship with my artists: The L.A. Music Awards present artists to the world with major publicity. This awards show is a marketing tool. In today’s music business you are responsible for your own marketing. To become a celebrity today is an expensive venture…it costs a LOT of money. You have to hire major public relations firms on two coasts. They will lobby for you over time to get you appearances on red carpets, TV shows like Good Morning America, get you the right hair, make-up, a print article, an image consultation- AND you have to pay for advertising. It costs a lot of money to be come famous. Millions of people try to break in without anything. In the old days, aspiring starlets were looking for the man with the big cigar in the limo that would “discover” them! Ha…doesn’t happen anymore…just doesn’t happen! To make it in this business is not a talent contest- it is a popularity contest, talent only counts AFTER you become a celebrity! If you hang with celebrities and get press you get famous- then you have leverage. Talent is not leverage- only your popularity is. Record labels only care about WHO has seen you- who knows you and who is the one the most people have heard of! That is what you are doing right now, Freya- with Tehrah. She came to L.A. on the cover of this magazine and winner of an L.A. Music Award. Suddenly she is on the Red Carpet on Hollywood and Vine across from Capitol Records. Then she’s performing at The Avalon Theater on a huge stage in front of thousands of people! Come on- get real. There is Tehrah on this huge stage in front of a huge audience- there she is with this big publicity achievement and THEN people get to listen to this amazing music! It is the last element unfortunately- it is not the first. Most artists put their music AHEAD of the popularity- that’s a mistake in today’s world. This is the only industry in the world where an artist manufactures a product that they expect someone else to pay to advertise it. I hear artists say all the time: “I spent 20K to make this record- now you pay me back!” The label will ask: “How many downloads have you sold?” If you walk into a label and say we’ve sold 200 K downloads THEN you have leverage. But at that point you’ve got to ask yourself why sign with a label before that- when they take 91%!? That’s crazy. Go do it yourself first- then go to a label! The labels are like a high interest bank. What I do is give today’s talent exactly what they don’t have, but what they absolutely HAVE to have to receive notoriety. We give them what can make them famous. No matter how hard this is to produce each year, I love helping these acts. There is nothing like The L.A. Music Awards. This is the stage of dreams that really do come true. But artists need to remember promotion is the most important part of their career. Of course everyone wants to take the award home- but never forget the win is in the nomination! Whether you receive the actual award, or not, is not important. The nomination can be used to promote your band in a big way! We have such a transparent voting system. Online voting combined with the paper ballots combined with the panel- it’s a three tiered system- if you win all three you get the award! Simple, transparent and it works!